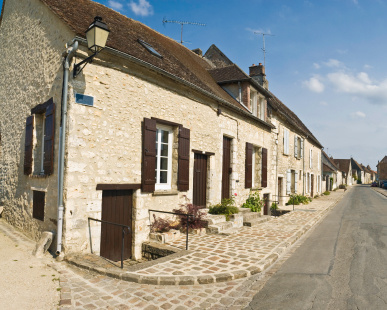 Traditional stone houses in the Champagne countryside. Champagne-Ardenne is one of France's 27 administrative regions, created roughly around the boundaries of the old County of Champagne. Famous worldwide for its sparkling wine, the Champagne is predominantly a rural and agricultural region. Though relatively large (almost as big as Belgium), it only has 1.3 million inhabitants and is the second most sparsely populated continental French region after Limousin. Its GDP per capita is nevertheless the third highest in northern France after the Île-de-France and Alsace. 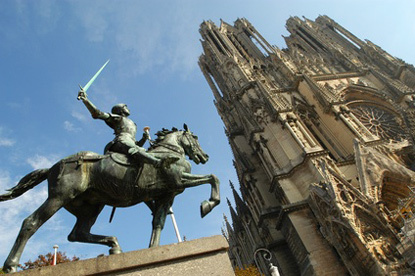 Reims, the relatively small regional capital, is the only must-see destination in Champagne. It is in this Gallo-Roman city that one of France's first bishoprics was established, and in its cathedral that the Kings of France were crowned, from Clovis to Louis XVI. Apart from its Gothic splendour, Reims is also the best place to sample the precious local liquid gold: champagne wine. 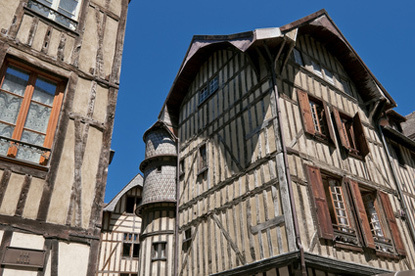 Troyes is one of France's best-preserved historical town, possessing a quaint assortment of 16th-century timber-framed houses. 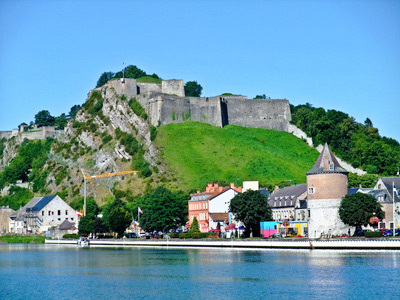 The border towns of Sedan and Givet originally belonged to the Southern Netherlands (modern Belgium), but were later annexed to France (in 1641 and 1680, respectively). They are both dominated by mighty citadels. Famous people from Champagne-Ardenne include (chronologically): Louis XIV's finance minister Jean-Baptiste Colbert, philosopher and encyclopedist Denis Diderot, revolutionary politician Georges Jacques Danton, poet Arthur Rimbaud, the creator of Astérix comic books Albert Uderzo, and the journalist and writer Patrick Poivre d'Arvor. The Champagne countryside had a relatively uneventful history, bar two key battles that remain deeply imprinted in the national French psyche today. On 20 September 1792, the French Revolutionary forces won their first victory at the Battle of Valmy, defeating the Austro-Prussian troops sent to Paris to protect the monarchy. The victory provided a euphory in France that emboldened the newly-assembled National Convention to formally declare the end of monarchy and the establishment of the First French Republic. The Second French Empire collapsed in the aftermath of the Battle of Sedan, on 1 September 1870, which resulted in the capture of Emperor Napoleon III and large numbers of his troops by the Prussians. It also effectively ended the Franco-Prussian War and led to the Proclamation of the German Empire a few months later at the Palace of Versailles. Home of Arthur Rimbaud, the twin cities of Charleville and Mézières will surprise visitors with its Ducal Square, the model for the Place des Vosges in Paris. 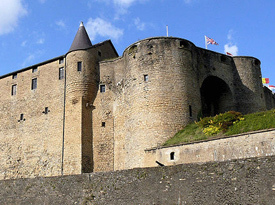 Sedan possesses one of the largest medieval fortress in Europe. It was here that the Franco-Prussian War ended on a German victory. A small town on the Meuse River at the border of Belgium. 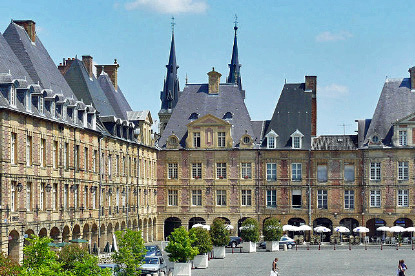 Topped by a citadel and built in the Mosan stone and brick style, it bears striking resemblance to Walloon cities such as Namur, Huy or Liège. 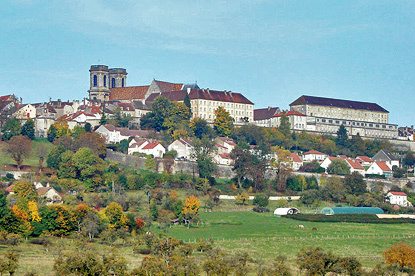 Set admist the beautiful background of the Ardennes forest, tiny Rethel was the seat of a medieval county, then duchy. 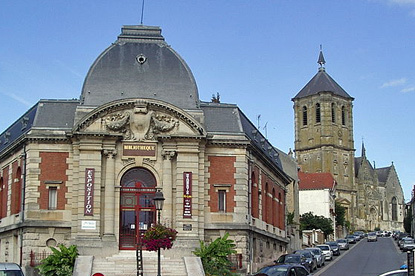 The founder of the Sorbonne University hailed from Rethel. The great cathedral of Reims was the coronation site of the kings of France. Reims is also the best place to sample the august sparkling wine grown in the region. Troyes is an old, attractive town brimming with skewed half-timbered houses. Langres is an old fortified town known for being the seat of the of the oldest and largest diocese in France.